Well, I've been away from the blog for a couple of weeks. 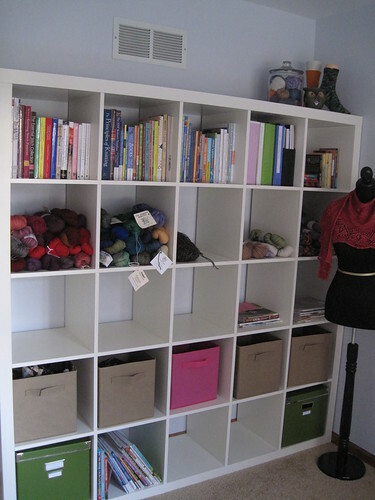 Things like pattern deadlines, 5Ks and furniture assembly all got in the way of my blogging time. So, there will be lots of catching up over the next week or two! First up, I thought would show off my new office space. I have been waiting a long time to get one of our spare bedrooms set up for me to work in, and I finally took the plunge and got some new stuff to put in it. I am super excited about my L-shaped desk. I especially love that I get good light from the window. It's plenty of space to work on knitting patterns. 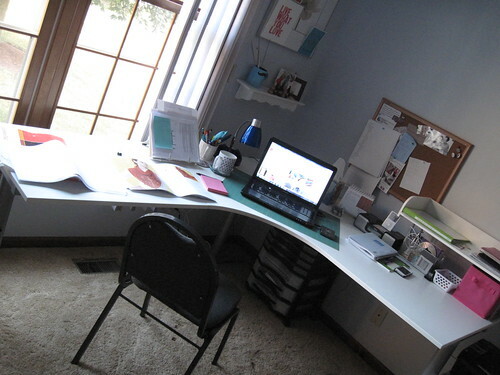 And, when I want to do some scrapbooking, I won't have to drag a folding table from the basement. I still have to get my magazines organized and in there. And, I have more yarn in our basement too. But we are very lucky to have a cedar closet in the basement, so I don't know if I will bring it up and put it on the bookshelf or not. I am also very excited about my sister's $10 garage sale find for me....a dress form! My sister named her Stephanie. 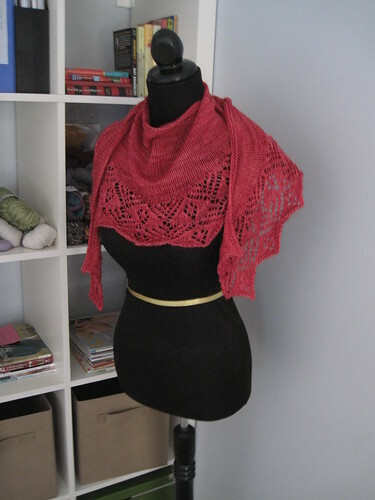 That seemed like a good name to me, as I do love the Yarn Harlot, so Stephanie it is! I have a few more things I would like to get for my new office. I want a real desk chair and some curtains and some things for the wall, but I think it's a pretty good start.